The students of Jr,KG learnt about the majestic color blue. The students and the teachers both came dressed in blue attire. 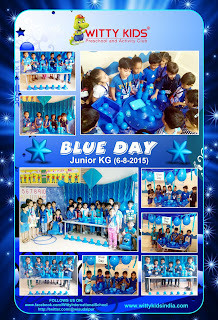 The class was decorated in the color blue. The students were shown a PPT, a beach scene and blue objects. Students enjoyed learning the color.